Richard “Lee” Boyer, 88, of Covington, passed away Saturday, August 11, 2018, at Piqua Manor. He was born June 20, 1930, in Covington, to the late Linus Leonard and Irene Katherine (Hansford) Boyer. Lee was a 1948 graduate of Covington High School and served in the U.S. Air Force during the Korean War. 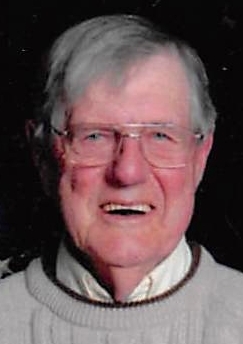 Lee will be missed and remembered by his wife of 61 years, Rosalie (Boehringer) Boyer, whom he married in 1956; his daughter and son-in-law, Lee Anne & Ed Boggs of Covington; son and daughter-in-law Robert “Bob” & Denise Boyer of Covington; three grandchildren, Lauren (Randy) Goodman, Rachel (Jordan) Emerick, and Kristen Boggs; three step-grandchildren, Jessica, Jeremey (Stacey), and Chelsea Robinson; and two great-grandchildren, Clara and Kellen Goodman. Lee retired from the Kroger Co. after 33 years as a meat cutter. He loved fishing and sharing his passion for fishing by teaching others to fish. He enjoyed watching sports, with his favorite teams being the L.A. Lakers, Ohio State Buckeyes, and Covington High School. His greatest pleasure was watching his three granddaughters play fastpitch softball. Lee, with his wife Rosie, enjoyed country line dancing, and was a charter member of the Dayton 2-Steppers. They taught line dancing for ten years to elementary physical education classes. Lee was a self-taught computer operator, who enjoyed helping many Covington residents troubleshoot their computer issues. He also loved taking and printing photographs, framing them for graduation parties and other special occasions for folks in town. Lee was a kind man who was loved and will be greatly missed. The family would like to offer a special thanks to Piqua Manor for the loving care given to him, especially to his nurses and aides who lovingly called him ‘Papaw’. A funeral service will be held at 11 a.m. Friday, August 17, at Moore Funeral Home, 10 S. High St., Covington, with Pastor Don Solin officiating. Burial with military honors will follow in Highland Cemetery, Covington. Friends may call from 9-11 a.m. Friday at the funeral home. In lieu of flowers, memorial contributions may be made to Hospice of Miami County, P.O. Box 502, Troy, OH 45373. Online condolences may be left for the Boyer family at www.moorefh.com.